The Supreme Court has one substantive appeal listed this week – the case of R(E) v Governing Body of JFS, concerning the admissions policy into a faith school (when oversubscribed) constitutes racial discrimination under the Race Relations Act 1976. The case preview is in the previous post. The case is to be heard on Tuesday, Wednesday and Thursday by a 9 judge panel. There are 5 interveners. There is no hearing in the Supreme Court on Monday and no hearings by the Judicial Committee of the Privy Council. The Court has not yet provided any information about permission to appeal and other interim decisions made by either the UKSC or the JCPC. These were formerly available on the House of Lords and Privy Council website and were of interest the legal profession and the wider public. We hope that this service will be restored as soon as possible. The Court will give two judgments at 9.45am on Thursday, in the cases of In Re Sigma Finance Corporation and R (L) v Commissioner of the Police of the Metropolis. The Sigma Finance appeal was from  EWCA Civ 1303 and was heard by the House of Lords on 1 and 2 July 2009. The L case was an appeal from  EWCA Civ 168 and was heard by the House of Lords on 13 and 14 July 2009. 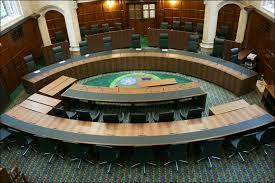 UKSC Blog will be providing case summaries when the judgments are available and then case notes thereafter. Leave a reply on "In the Supreme Court – w/c 26 October 2009"